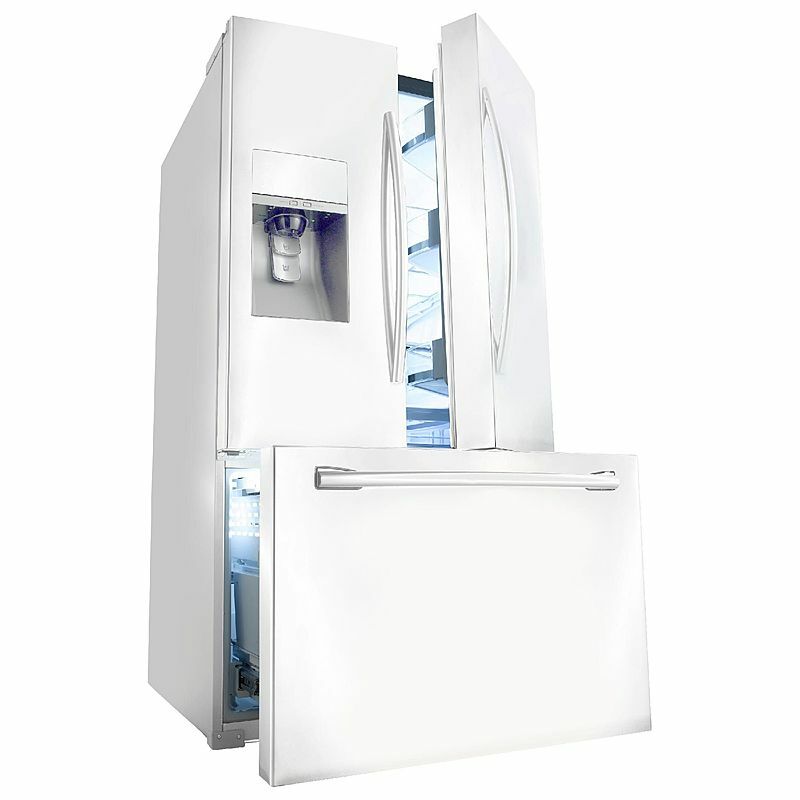 OVERALL: The Samsung RF323TEDBWW Refrigerator is one of the larger capacity Samsung French Door Refrigerators. With over 31 cubic feet of storage space, this refrigerator can fit just about anything you need. For families of four or more, this is an ideal refrigerator. The interior is well designed and makes great use of every nook and crannie. The door shelves in particular were exceptionally functional. Of all of the Samsung models, this one is probably the most well lit refrigerator. The placement of the lighting in the back and top allows you to clearly see every part of this fridge. Ice Master: There are basically TWO ice-makers in this refrigerator. The DOOR unit and the in-freezer ice maker. Combined, these units can produce up to 12 lbs. of ice per day. This is a fantastic feature for those who like to entertain. You'll never WANT for ice again. CoolSelect Pantry: The CoolSelect Pantry is a full-width pantry drawer that has separate temperature controls. A stand out element of this feature is the independent fan system that quickly chills room-temperature beverages. High-Efficiency LED Lighting: As we mentioned above, Samsung's LED Lighting system effectively illuminates every corner of this refrigerator's interior. LED lighting compartments are also slimmer than the average incandescent bulb which saves space. First off, it controls the amount of humidity in the interior of the refrigerator -- in particular, the drawers. This helps to maximize the life span of your produce and deli meats. Additionally, it provides cooler air to the freezer which keeps food from getting "freezer burn." If White appliances aren't your thing, you might want to consider one of the numerous Stainless Steel models available from Samsung. Here are three that we recommend.